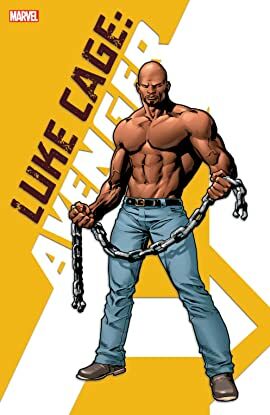 Collects Avengers Origins: Luke Cage, New Avengers (2005) #22, 49, New Avengers: Luke Cage #1-3, Marvel Team-Up Annual #4. The steel-skinned Avenger shows exactly why he's one of Earth's Mightiest Heroes! Discover how young Carl Lucas, imprisoned for a crime he didn't commit, gained his powers and became the hero he is today! As Civil War rages, Luke picks a side and makes a stand — but it might divide him from his wife, Jessica Jones! But when their daughter, Danielle, is captured by Skrulls, Luke will make a deal with the devil to save her. 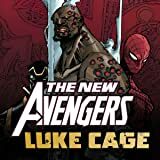 Then, a ghost from Luke's past takes him back to the Hero For Hire biz — and a classic street level team-up pits Luke, best pal Iron Fist, Daredevil, Moon Knight and Spider-Man against the Kingpin and Killgrave the Purple Man!